For all of you Tom Petty fans out there, you wish is granted!! 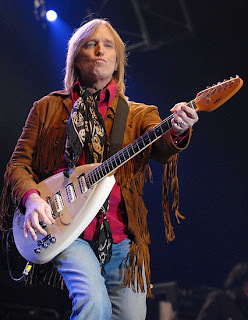 Tom Petty just announced that he will be performing at the Marcus Amphitheater Friday June 25th. I've actually never seen Tom petty at Summerfest but I've heard it's an awesome show!! My co-worker Kristen is very excited about the show announcement because she was worried he wouldn't be back to Milwaukee again since he didn't come to Summerfest last year! Rumor has it ZZtop is opening for his show. Marcus Amphitheater tickets go on sale Saturday March 6th. Can't wait!! JIMMY BUFFET ALPINE VALLEY TICKETS JUNE 26th! !